One of the innovations at the AIS 2017 Convention was an auction of guest irises. After seeing guest irises on the garden tours Thursday and Friday, visitors were able to bid on a number of them Saturday afternoon. Last week the beardless irises were dug and shipped to the winners, shipped August 29th. They were shipped USPS and should have arrived before Labor Day. Thank you to everyone for participating in the auction! And thank you to the volunteers who dug, prepared, and shipped these irises! Thanks to Ken Fuchs for putting together a video slideshow of his and Jim’s AIS 2017 Convention photos. You can see it here. Also it can be downloaded by right-clicking here and choosing Save As or similar. Note that it is over 600 MB so downloading will require some time. Ken has done this for many recent AIS Conventions. You can find links to the 2007 – 2012 Conventions videos on YouTube from this page on the Greater Kansas City Iris Society website. Thank you Ken for all these great videos! 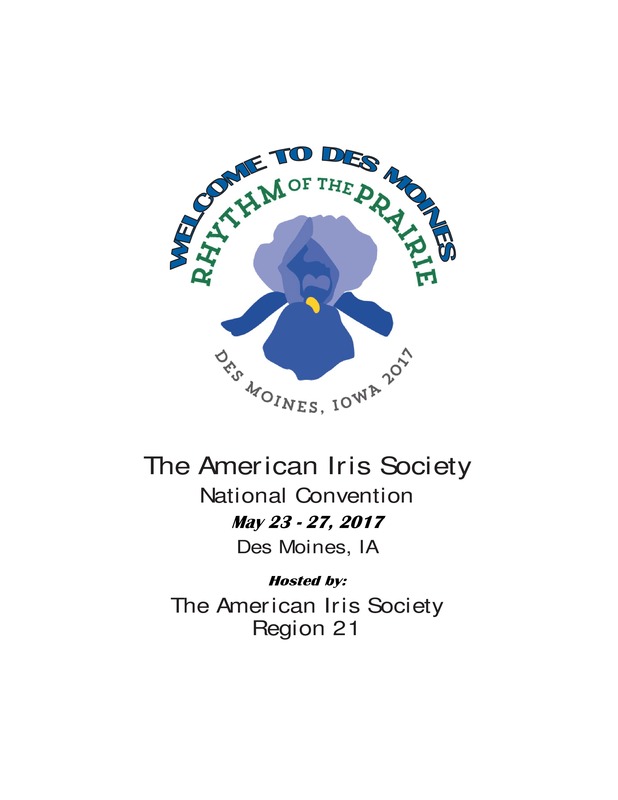 Iris hybridizers provided an incredible range of guest irises for the AIS 2017 Convention. Something over 2200 plants for attendees to enjoy on the tours! Post-convention the plants have a number of destinations with the bearded irises being processed now. Last week we shipped the bearded irises to the winning auction bidders. Next week, the week of August 7th, we will be digging and shipping the bearded irises hybridizers have requested be returned. Hybridizers, we will email you as the bearded irises are shipped to you. Beardless irises will be sent later to the winning auction bidders and to hybridizers who have requested returns. 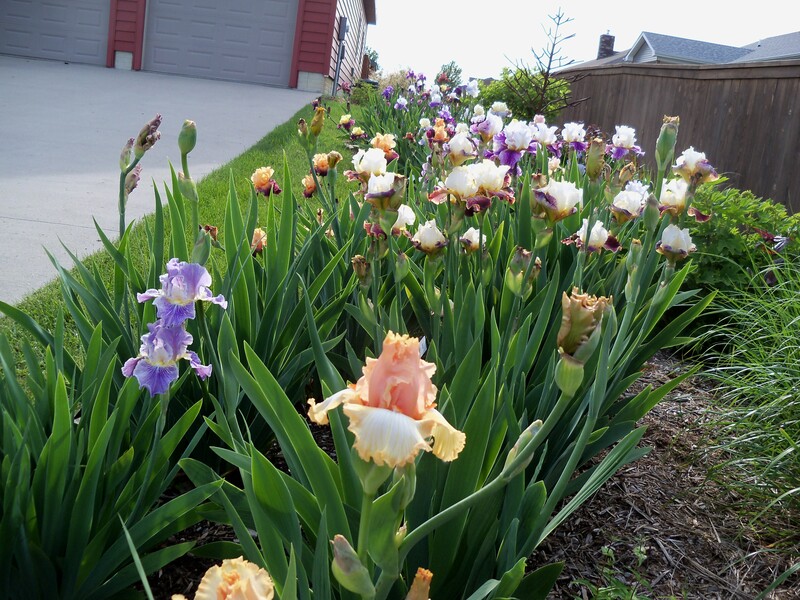 Thank you to all the hybridizers for providing these guest irises! One of the innovations at the AIS 2017 Convention was an auction of guest irises. After seeing guest irises on the garden tours Thursday and Friday, visitors were able to bid on a number of them Saturday afternoon. This week the bearded irises were dug and shipped to the winners, shipped July 24th and 25th. I know some bidders have already received theirs. The others should arrive (USPS) shortly. 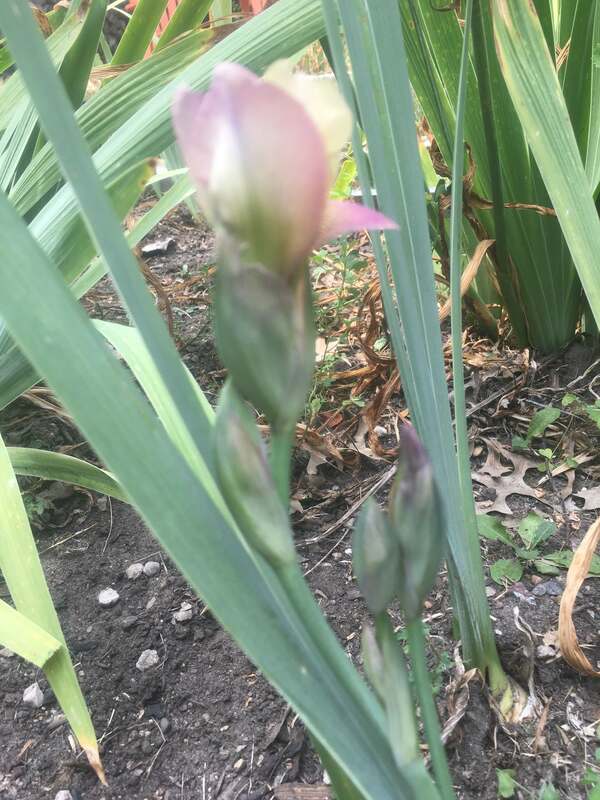 Shipping of the beardless irises will be late August or early September. As we normally do not see any of the Convention guest irises blooming at this time, this photo from the Jurik garden was a nice surprise. ‘Rose City’ (Lynda Miller, 2015) is an MTB reported as an early bloomer without mentioning rebloom. Aitken’s does have it on their rebloomer pages. Thank you for the photo Kris! The Convention gardens tours provide great opportunities for photos. Or videos. Or combinations. Jan Blaedel did a combination by combining some of her photos from the gardens into short videos. Thank you Jan for sharing these. Each video is about 2 minutes. Do you have photos or videos from the Convention to share? We would be glad to include them on the website. You are welcome to use the comments or send to wrmesser@gmail.com to let us know. While it cannot convey all the excitement of the Convention, the Convention Book is very useful before, during, and after the Convention. This is the AIS 2017 Convention Book (PDF) for your use and reference. Do you have some ways you use/will use this? We would love to hear them! Whether you were able to attend or not, please enjoy! Thank you again to Judy Keisling for preparing the book and for keeping our contributions on track. She is amazing! The 2017 guest iris are getting ready. Many TBs and MTBs with some IBs and BBs and even an AB. This view is Monday afternoon at one of the Messer Garden beds, one of five beds there. Click on the photo to see a larger version.